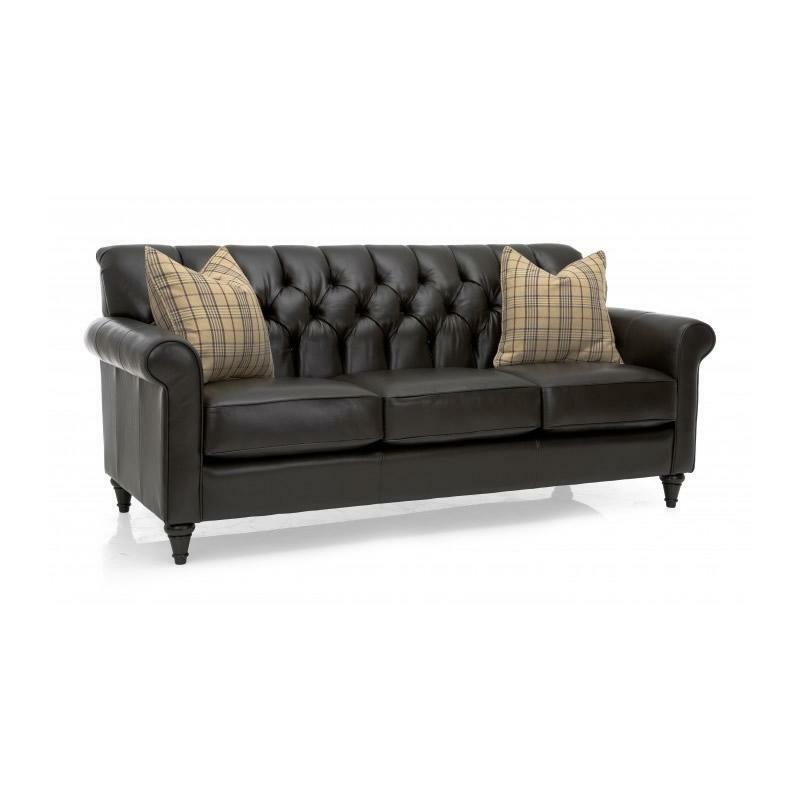 This sofa by Decor-Rest Furniture is made with a dark leather upholstery cover and wood legs with a dark brown finish. 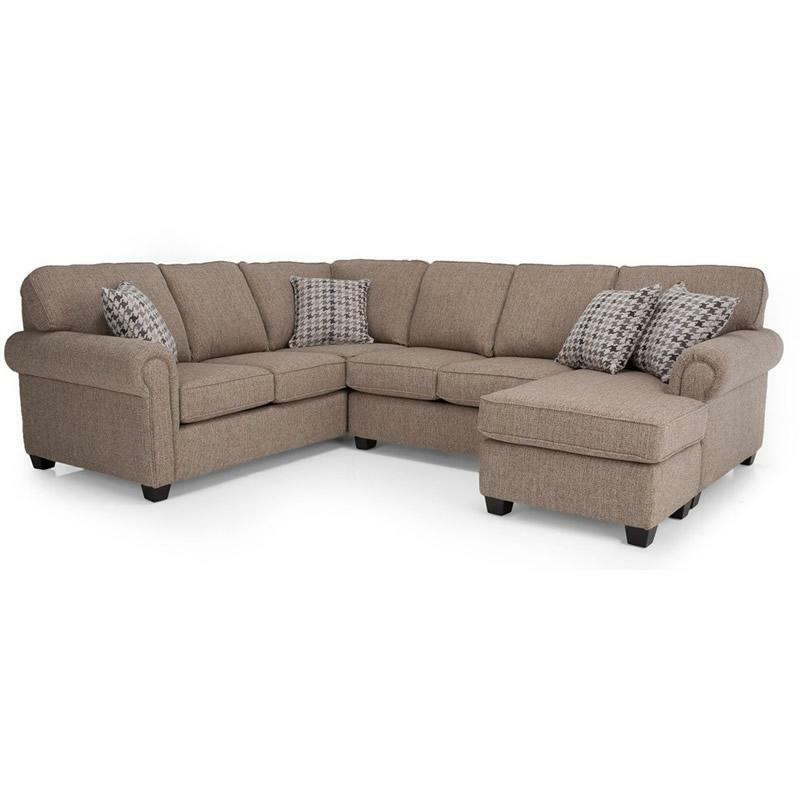 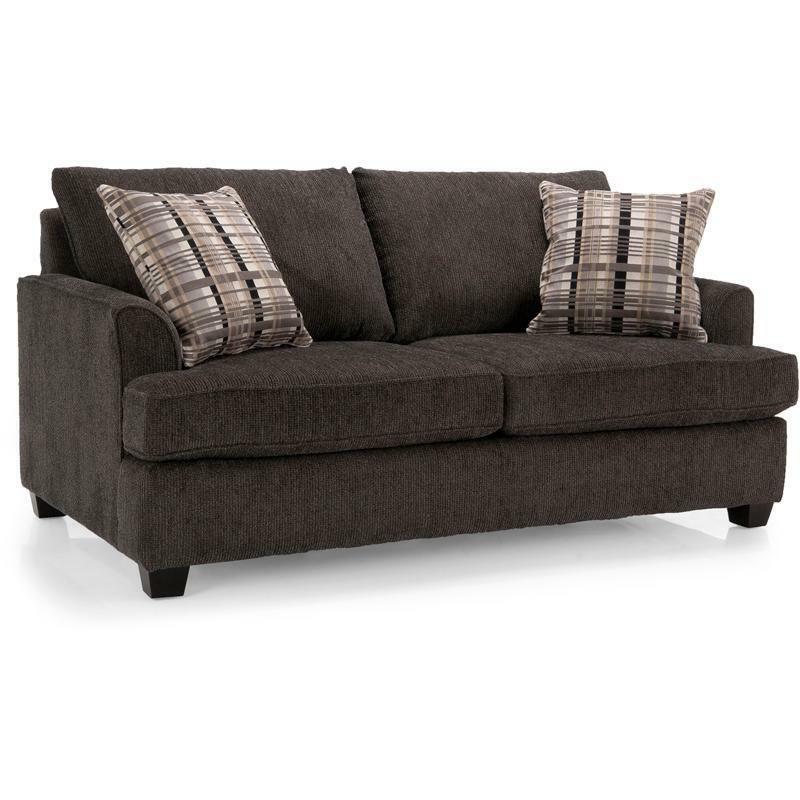 This sofa features button tufting on the back, turned feet and sock arms. 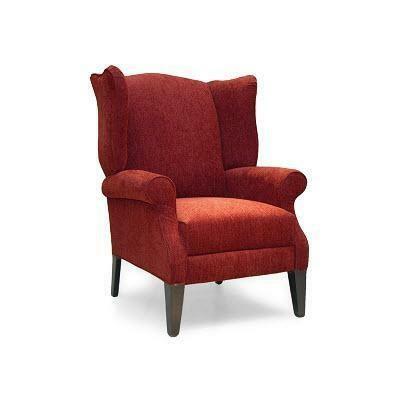 This casual contemporary style Chair features a tight back pillow, detached seat cushion, wooden legs and flared arms. 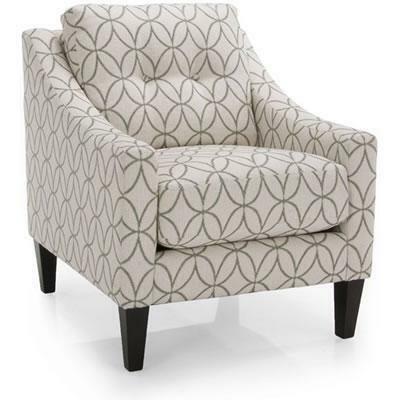 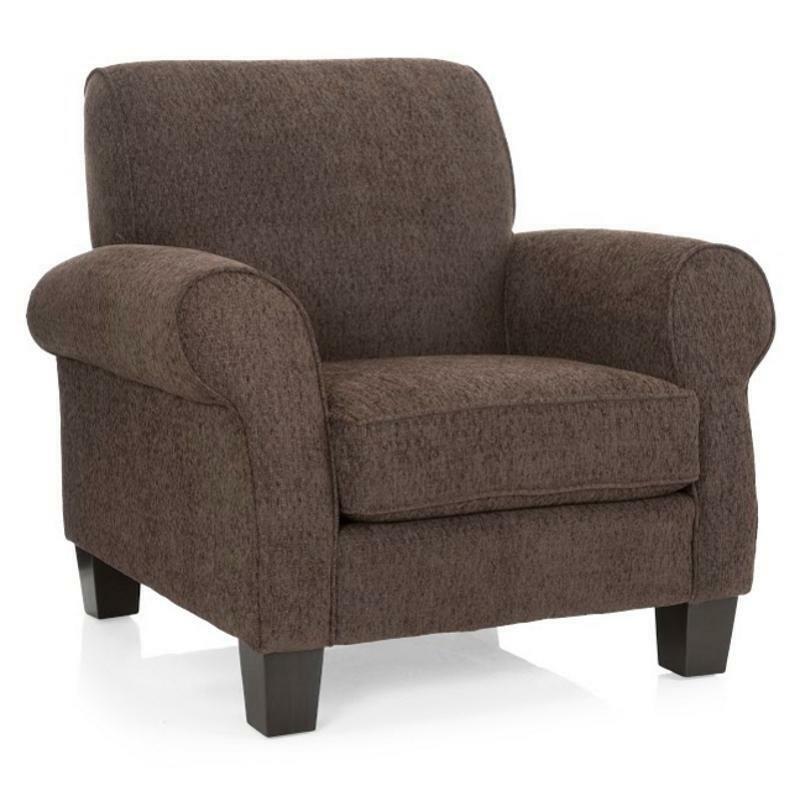 The Newark Accent Chair features sinuous spring construction, 1.8 lb. 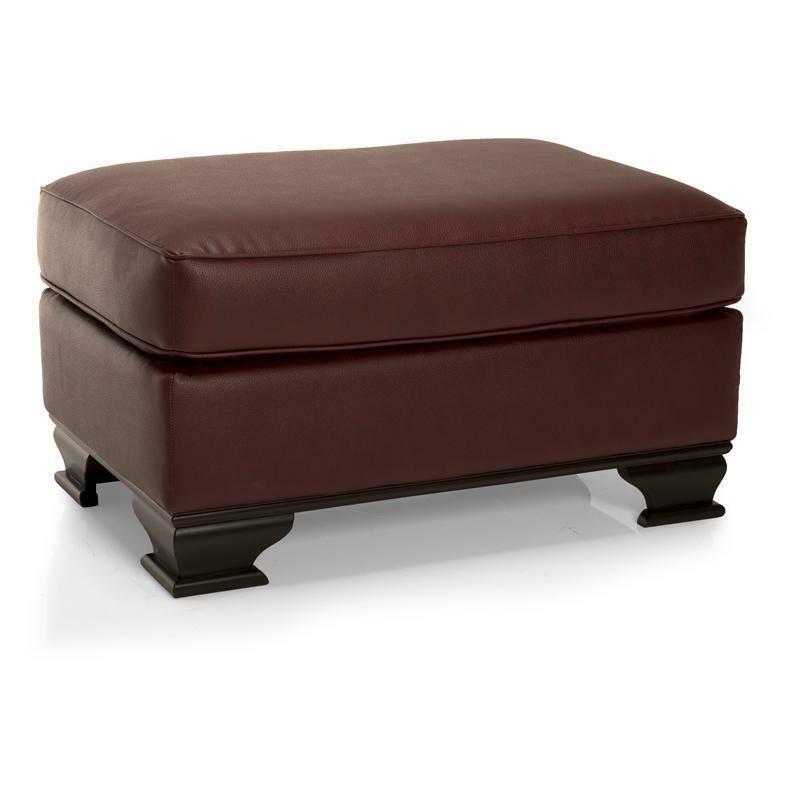 foam and semi-attached back with button, all wrapped in a backgammon brown fabric.